A blog by an ex-project manager has gone viral after it perfectly explained why Brexit has been so impossible to deliver. Russ, who blogs here, used his 22 years’ experience managing projects to summarise how “politically expediency” resulted in false promises in the 2016 referendum that can never be delivered. 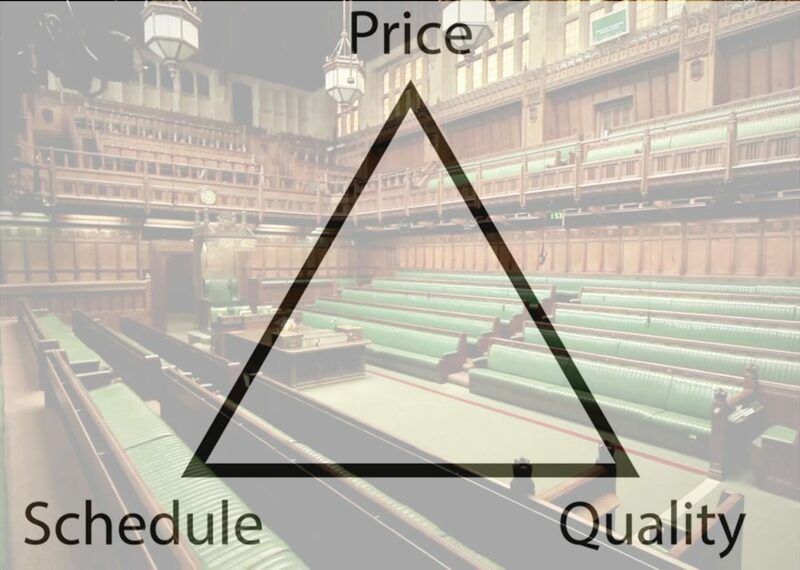 Using the “Iron Triangle” model – price, schedule, quality- he explains how the “absolutely unbreakable rule” is that you can only have two things from the triangle and never all three. If you want to do something quickly and cheaply then you sacrifice quality, and if you want to deliver on quality then you will sacrifice price and so on. But leaving the EU was sold on the basis that it will be fast, cheap, and give you all of the benefits, even though that could never be the case, which is what has created the Brexit gridlock we are experiencing today. He said: “Theresa May’s deal attempts to resolve it by sacrificing quality. She offered Brexit cheap and fast, but only by slashing away at the things the project was intended to deliver. “Remainers have repeatedly explained the costs of Brexit, and the price Britain will pay in jobs, investment, cuts, debts, tax increases, security, the NHS, or any combination of those things. “And finally, there are moves in Parliament to extend the schedule, so we can attempt to meet the quality and price requirements. The reason why, he goes on to say, is that nobody has told them that they have to make a choice at the start, which inevitably leads to problems at the end.